This entry was posted in New Zealand and tagged Migrate to Newzealand Newzealand Corporate Profits Newzealand Economy Newzealand Immigration on August 1, 2013 by Blog Author. Due to improved productivity and strong corporate profits, the economic growth of New Zealand is expected to grow in the coming months. The growth is measured with the help of Westpac-Melbourne Institute Leading Index. As per this index, the economic activity for the coming nine months was 4.9% in the month of May. According to Bill Evans, Westpac chief economist, the index showed continuous growth above the trend, for six months. The growth index for the last 12 months was below the expected trend. He said that the longest time period of underperformance had sent a signal according to the Australian economy’s strength. The economy of Australia grew by 2.5 percent in March 2013 which was a disappointing growth. 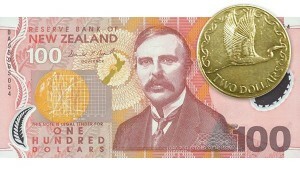 He confirmed that the growth rate of the New Zealand Economy will improve in a good manner by June 2013. According to Mr. Evans, an interest rate cut is forecasted by the Westpac economists. The economists were not fazed by the Reserve Bank’s minutes suggestion that the decreasing Australian dollar had reduced the need for another reduction. He also said that a certain policy decision by the central banks can be overestimated. Based on the current conditions, another cut in interest rate would be needed to improve the economic conditions of New Zealand.